Lauren M. Rouhana is a graduate of South Texas College of Law. She has been representing clients in family-based immigration matters including international adoption; litigation matters, including Asylum, Special Immigrant Juveniles, DACA, and waivers of inadmissibility; and, employment-based immigration, including various nonimmigrant visas. 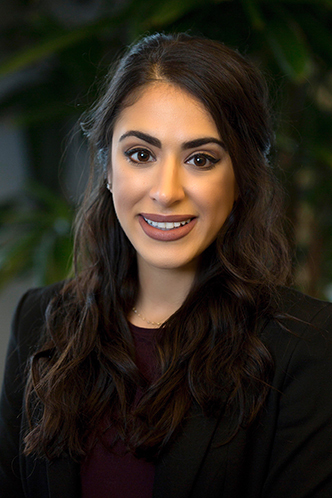 Ms. Rouhana began her career at the International Association of Drilling Contractors as an Accreditation and Regulatory Affairs Coordinator prior to beginning her legal studies. She has represented indigent clients with the South Texas College of Law Asylum and Human Trafficking clinic as a Student Attorney and previously worked as a law clerk with FosterQuan, LLP. Ms. Rouhana received the Hortense Ward Appreciation Award for Human Rights Achievement in 2013 from the Houston Heights Women’s Club. She also received the CALI Excellence Award in Immigration and Naturalization in 2013 from South Texas College of Law and has extensively researched and worked on cases regarding the immigration of adopted children. In October 2018, Ms. Rouhana was recognized by Houstonia Magazine to its list of 2018 Top Lawyers. Ms. Rouhana is a member of the Immigration and Nationality Law Section of the State Bar of Texas and is active in the Houston community. She is a parishioner and active volunteer at Our Lady of the Cedars Maronite Catholic Church. She hopes to continue to work with refugees and victims of persecution in addition to having her research on international adoptions published in the near future.